The Olympic Movement of the late-19th century, which led to the revival the ancient Greek tradition of the Olympic Games, was successful thanks to the efforts of two distinguished gentlemen ― Pierre de Coubertin and Demetrius Vikelas. 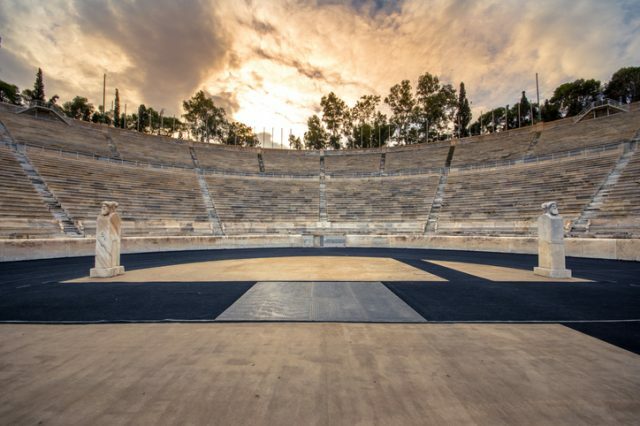 The first modern Summer Olympics was held in Athens in 1896, starting what is today known as arguably the most important sports event in the world. The Olympic Commission made it their mission to revive the traditional games and therefore celebrate the spirit of ancient Greece in every way possible. Among other things, this meant strongly discouraging women from taking part in the competition, as in ancient times women weren’t even allowed to be in the audience, let alone participate. Their arguments reflected generally the accepted opinion of the era ― that in order for women to preserve their feminine charms, they must be excluded from such manly activities. They also relied on the conviction that women were just incapable of performing well and that all of their attempts to do sports were too amateurish. However, the century that followed brought great changes in terms of women’s rights, and the status of women in society in general. 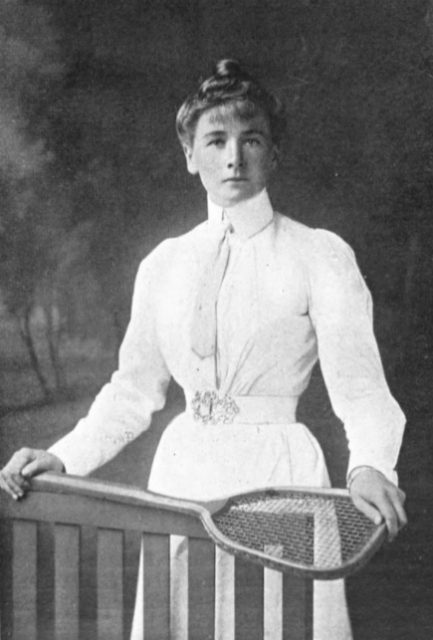 Charlotte Cooper Sterry (1870-1966), English tennis player, Wimbledon champion 1895, 1896, 1898, 1901, 1908; Olympic champion in singles and mixed doubles 1900. In the wake of the Suffrage movement in Europe and the United States, as well as the Russian Revolution of 1917, women were quickly becoming political subjects who demanded their voice to be heard. In such a political climate, female athletes felt encouraged to act — to fight the prejudice that sports were an activity reserved for men only. It took 16 years from the time the first modern Olympics were held in Athens for women to gain very limited access to the competition. 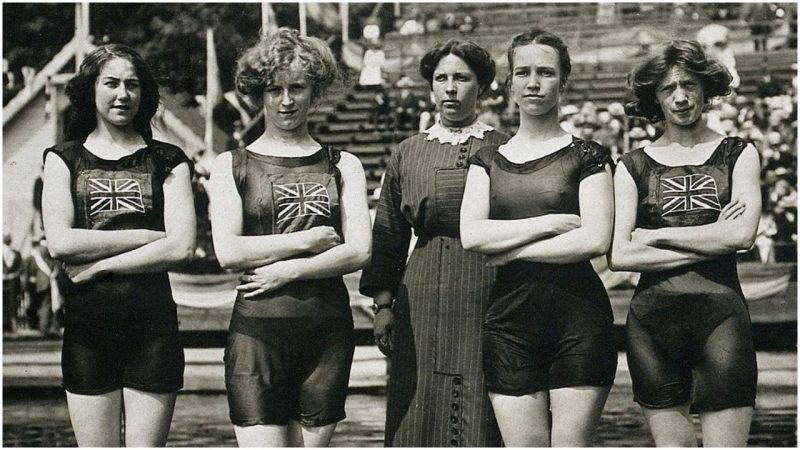 In Stockholm, in 1912, women were permitted to compete in swimming and diving, with 22 female athletes taking part. However, this giant first step was not welcomed by all. 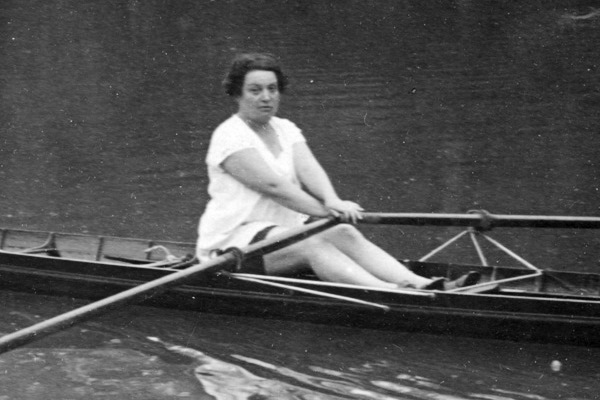 Seeing that they were not taken seriously by their male counterparts, a group of women, led by Alice Milliat ― a pioneer of woman’s sports in Europe ― organized the first ever international women’s sporting event, which took place in Monte Carlo in 1921. This was done partly as a reaction to the stubbornness of the International Olympic Committee (IOC) ― at the time still headed by its founder, Pierre de Coubertin ― to make the games more available to women. The 1921 Women’s Olympiad served as a forerunner of the Women’s World Games, held for the first time during the following year. Milliat and her companions from the International Women’s Sports Federation were confronted by the IOC, whose members demanded of them to leave out any reference to the Olympics in naming their event, so the word “Olympiad” had to be dropped. Nevertheless, they continued with their plans of holding a quadrennial sporting event, organized by and for women, despite the strong wave of male-led criticism. 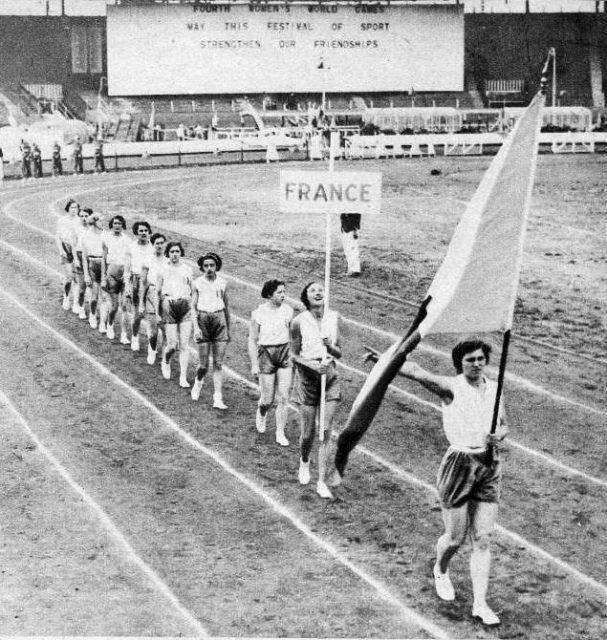 The first such event, which took place in Paris, drew an audience of between 15,000 and 20,000 people, providing women athletes with 11 different events. The Women’s World Games was held every four years — in Gothenburg (1926), Prague (1930), and London (1934). Most of the participants were from North America, Western and Central Europe, and Japan. In the meantime, Pierre de Coubertin lost his chair in the International Olympics Committee. 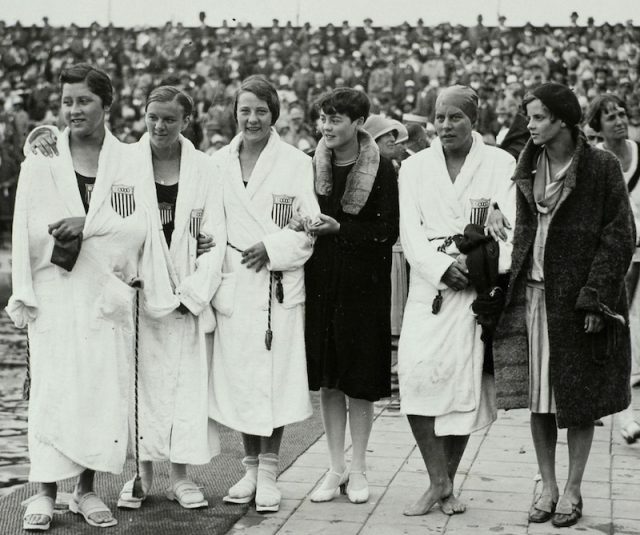 In 1928, the Summer Olympics in Amsterdam hosted 300 female athletes in multiple categories previously reserved only for men. This constituted around 10 percent of the total number of athletes. 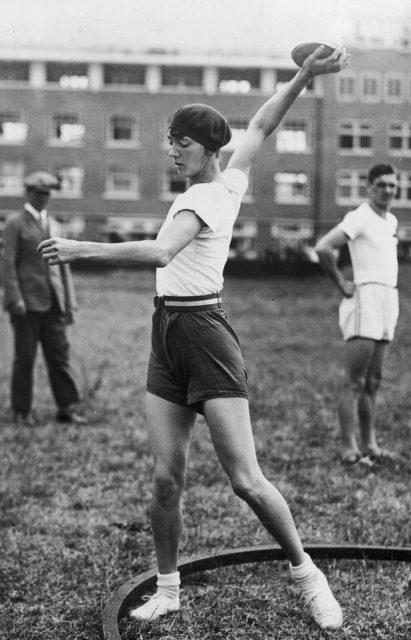 During the 1928 Olympics women were allowed to hold their own 800-meter run, but soon after the IOC deemed this discipline as “too dangerous” for female participants, ruling it out from further events. 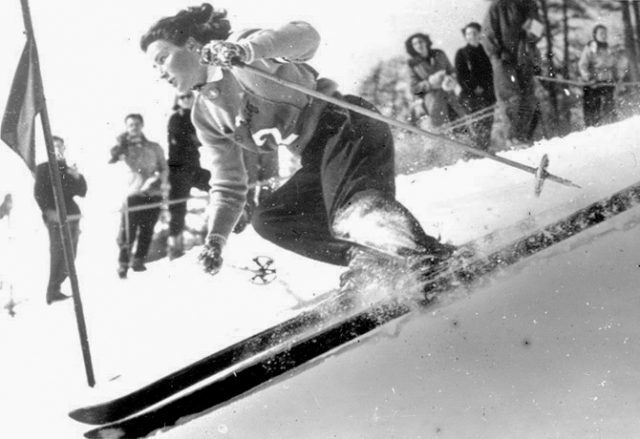 It wasn’t until 1960, during the Summer Olympics in Rome, that women were once again given the opportunity to participate in this race. As for the events organized by Alice Milliat and the International Women’s Sports Federation, they bore fruit and introduced a world of opportunities. 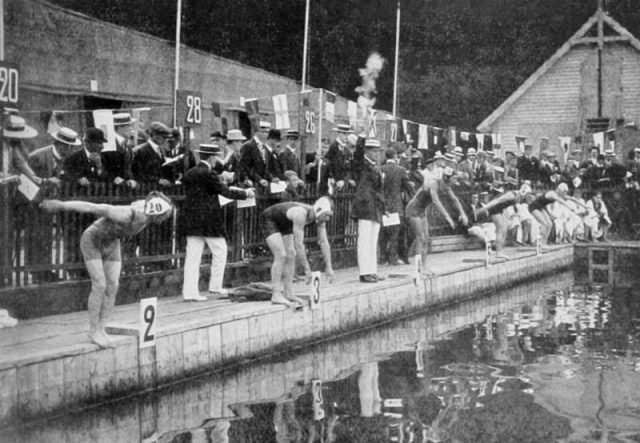 The number of participants grew steadily, with entrants from 19 countries by the time the Games were held in London in 1934. The women activists struggling to prove to the world that they were capable of competing in various categories, including the ones deemed too masculine for them, still had to face institutions like the International Olympic Committee that actively sabotaged their attempts. On the other hand, they gathered great public support and found allies who proved more open-minded. They also inspired others to take part, creating a generation of female athletes who would go on to set the standards in professional sports. Step by step, women achieved the respect they deserve in the Olympics, by challenging an outdated tradition which has no place in modern civilization.